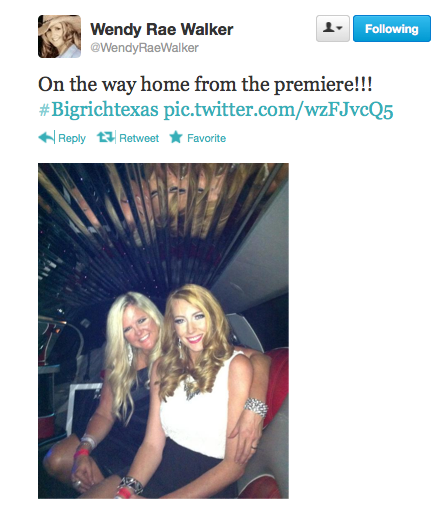 Big Rich Texas kicked off in a big way with lots of name calling and champagne throwing. It looks to be another train-wreck of a season and I, for one, will be watching every tortured minute. Don't despair if you missed the show. Style Network will be replaying it a thousand times this week, so go set your DVR! If you'd like to follow the stars on Facebook, Twitter, Instagram and more check out this post for all the ways you can stalk communicate with your favorite stars.